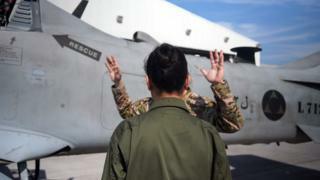 Most women serving in the Lebanese armed forces work in administrative or logistical roles, but its top commander is trying to change this, the BBC's Eloise Alanna reports. 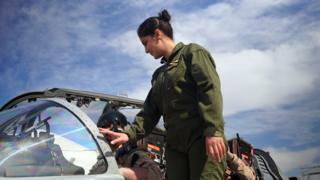 Gen Joseph Aoun says bolstering women's roles is among his top priorities, with the ultimate aim of getting them into combat roles. Women are not allowed to work on the front line in the army, but there is no such rule in the air force. 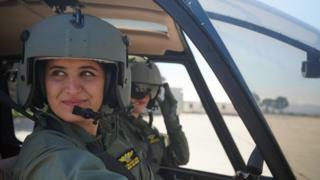 Six women have so far applied to be pilots in the air force - they went through testing and only two qualified. 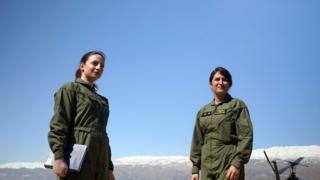 They are 1st Lieutenant Chantal Kallas, 27, and 1st Lieutenant Rita Zaher, 26. Rita says she met resistance when she first decided to join the armed forces, with many seeing her as "taking a man's job". Chantal wanted to become a pilot from a young age but her parents were worried she would not be able to juggle work and family life. Despite the social pressures, she followed through with her plan. "In my opinion, a woman has to overcome all of the challenges with their family or society to realise her ambition," she says. 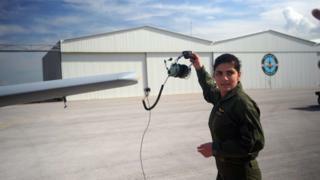 Twenty-four year old Manar Eskandar is a sergeant and the first female mechanic in the air force. When she started out, Manar was given mainly administrative tasks. But she later asked to be given a real mechanic's work - and her superiors agreed. "When I first came here my male colleagues looked at me with sympathy, like I needed help. 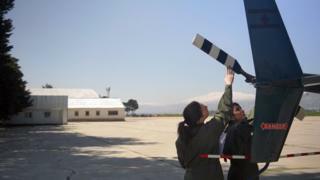 But little by little I have become stronger in my job and started doing work that they can't do themselves," Manar says. "I have small hands so sometimes I can do things they can't, like reaching into areas of the engine they can't." 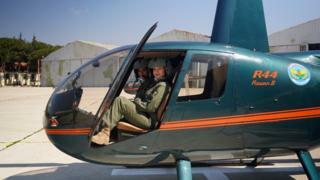 Chantal says times are changing for women in the Lebanese armed forces. 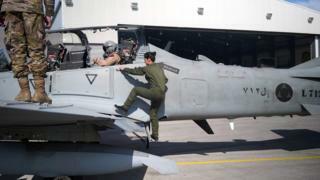 "Everyone in the air force is helping us and encouraging us to fulfil our ambition, and this is why perceptions are changing and men have become more accepting of women in combat positions and emancipating women in society."